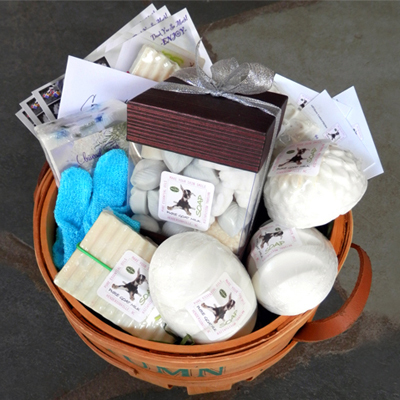 Home / Uncategorized / Nature Gift Box Goat Milk Soap – 13.4 ozs. 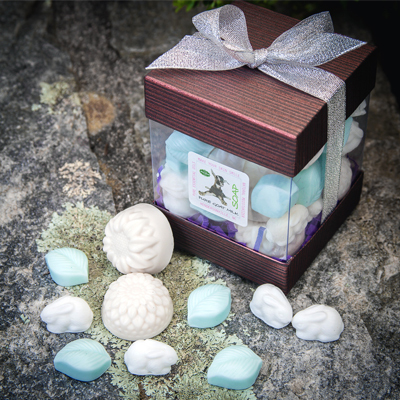 Beautiful detailed set of mixed white bunnies, buttercream flowers and soft minty leaves fill this generous fancy gift box of soaps. 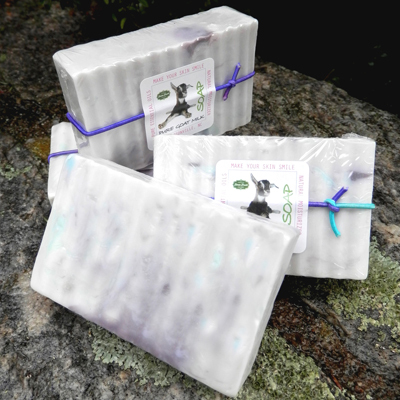 OVER 30 SOAPS! Perfect for guest rooms, kids bathrooms and gift giving. Endless creative ideas for this special treasure. Memorable, long-lasting and fun to give and receive, for any occasion. Soothing and creamy ‘food for the skin’ using only the best organic and natural ingredients guaranteed to support healthy living and high vitality. Our special goat milk soap recipe has been fine tuned to bring you the best in complete body care, including a deep moisturizing and natural restorative complex, vitamins and minerals, high frequency essential oils, non-toxic earthen pigments for color plus our own organic / bio-dynamic farm fresh goat milk (the beauty secret of Cleopatra, Queen of Ancient Egypt). Our fragrances are only a unique combination of pure essential oils and all are very light, clean and refreshing to the senses. 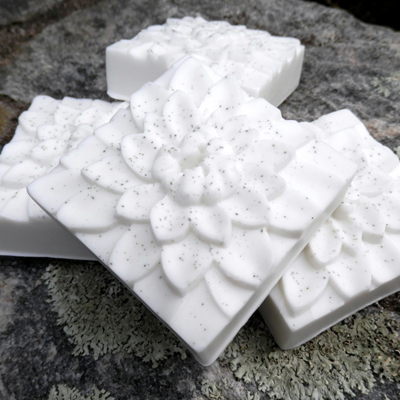 Enhanced healing frequencies in every soap add a supportive boost. Designs change with the seasons. 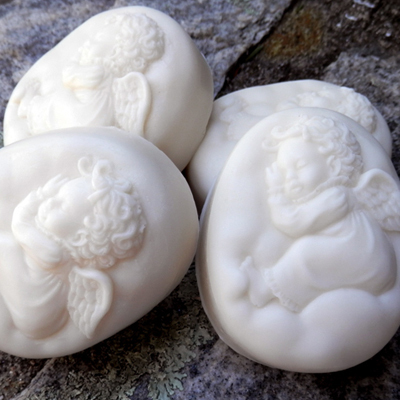 Gentle Baby Pure Goat Milk Soap – 4 ozs.